View of Carnoustie Golf Course Hotel behind 18th Green with Barry Burn and bridge in foreground at Carnoustie Golf Links in Carnoustie, Angus, Scotland, UK. 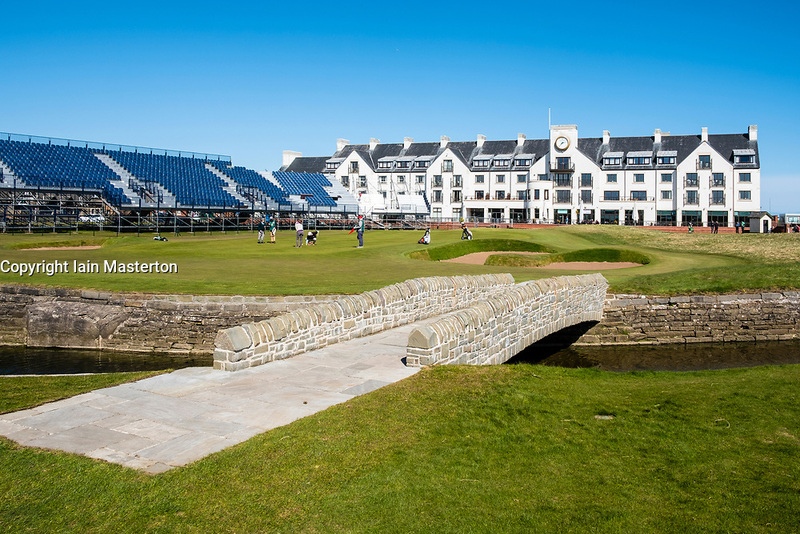 Carnoustie is venue for the 147th Open Championship in 2018. Stand around green under construction.